OH YES!!! My love Pam Godwin is back!! I devoured this morsel of a sweet and dirty story in a few hours and I CANNOT WAIT FOR MORE! 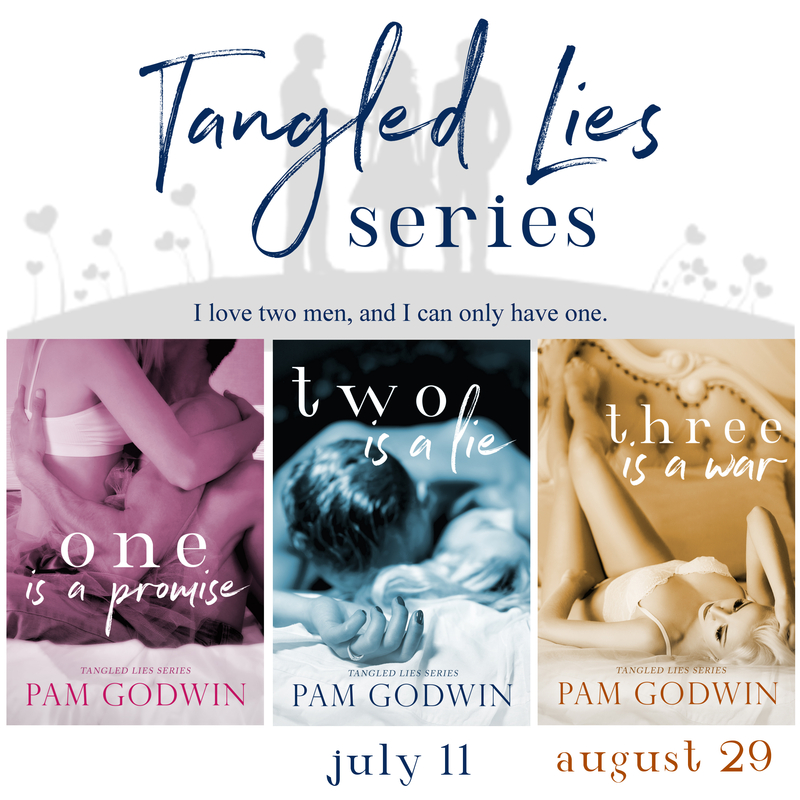 Pam Godwin can pack more heart, soul and heat into a few paragraphs than most and I absolutely fell in love with Danni and Trace. Yes, this ends on quite the cliffhanger but it is not a total surprise. And getting there is all the fun. He’s compelling, gorgeous, powerful. The kind of man a woman wants at her side, united and tangled, fighting for her, not against her. There are lots of romance tropes at play here but they all just WORK. I am a huge fan of Pam Godwin’s writing and I adored this story. Since there is a huge cliffhanger, this review will be completely spoiler-free other than to mention that the story is HOT, fast-paced and has touches of humor!! Danni’s wit and sarcasm was a welcome relief from the storyline. Read this book, the next book in the series releases in July and you will have your answers! (We’ll, almost!) I don’t know what will happen with Trace and Danni but I cannot wait to find out!! Two men who don’t share. I never stopped loving Cole. Not when he left me. Not when he disappeared for three years. Not when he crashed back into my life in a violent explosion of testosterone and fury. His sudden reappearance questions everything I thought I knew, including how I came to love another man. Trace is an intoxicating breeze of seduction over ice. My rock. My second chance at forever. And he’s committed to annihilating the competition. The battle that ensues wrenches me back and forth between them. Great review! Have to read this!